But anyway, on to my highlights! 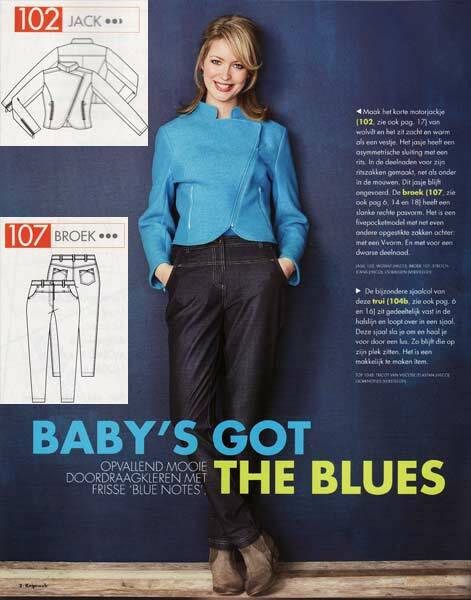 And finally, for me, the absolute best thing about this issue are these seamed trousers!! 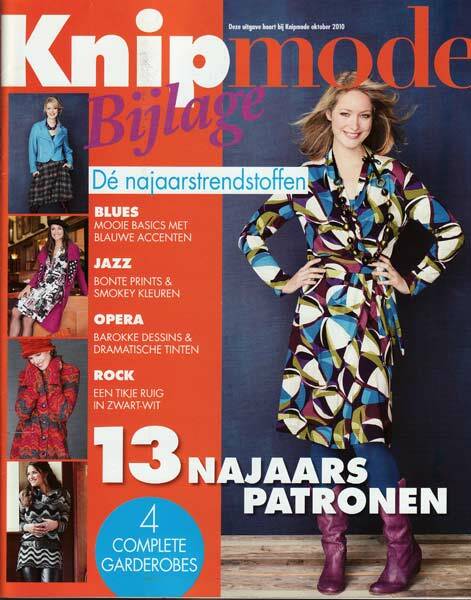 I swear, Burda may have the best trouser draft, but KnipMode have definitely got the best trouser designs!! I just love the radiating lines and those mid-leg seams, and that the pockets integrate so smoothly into the seams. These call for stretch trouser fabrics and a side invisible zipper (as well as ankle zips), and I’ve already added the details of this into my Pattern Pal iPhone app, which I’ve been using to compile all the patterns I want to make in the near future so I can buy fabric and notions for them while in NYC. 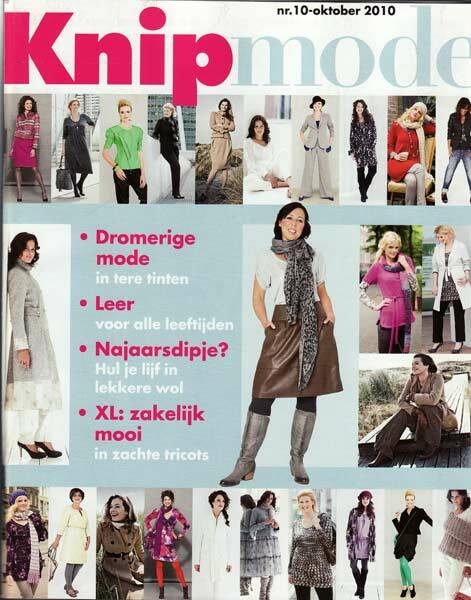 But that’s not all, because this issue of KnipMode came with an extra supplement! Weeee! In this one they loosely based their wardrobes around different musical styles – Blues, Jazz, Opera, and Rock. They grabbed me on the very first page when I saw this great melton/loden biker jacket paired with these stretch jeans. I really liked the scarf/tie collar on this otherwise plan knit shirt, and they’ve again paired it with the jeans I like (these supplements only contain a limited number of patterns so you end up seeing the same patterns in most of the wardrobes). 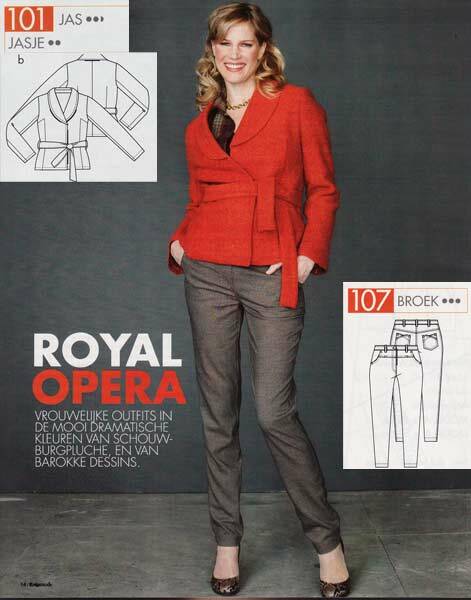 And finally, a jacket and jeans you could wear to the opera (supposedly!). I really like the casual styling of this belted jacket, and it’d be a really great first jacket for a beginner since it’s not got any fastenings or pockets to complicate things! Update: Last night I finished sewing the lining and final hook & eye onto my wedding gown, so the ONLY thing left now is the hem, which I need help from my mom or sister-in-law to mark out for me. They all arrived last night. OMG! Separator image Posted in Inspiration, Magazine and tagged with knipmode.